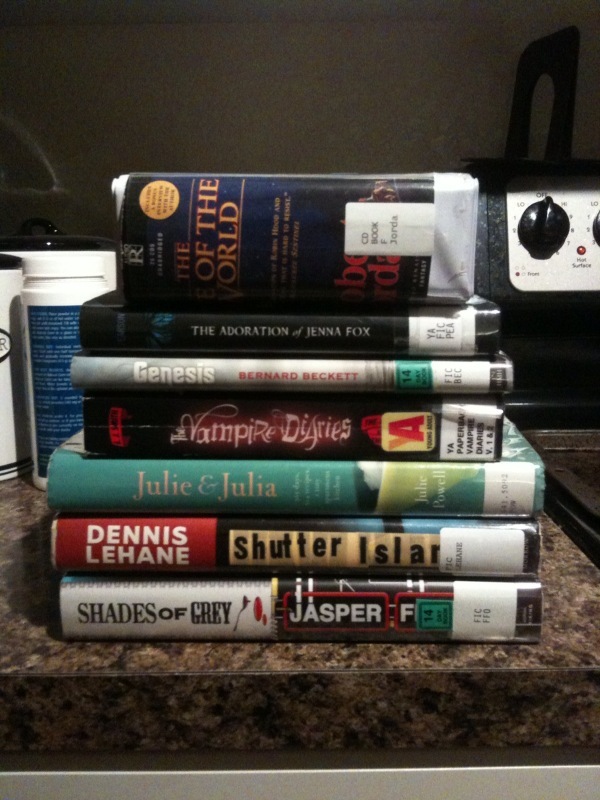 Library Loot: 1/28/10 – my books. my life. I’ve been inspired by Emily to finally do my first Library Loot post. Library Loot is a weekly event co-hosted by Eva and Marg that encourages readers to share the goodies that they picked up at their libraries each week. These are books I’ve picked up at various times during the last few weeks. Some of which I have finished or am in the middle of but I wanted to share them all anyway. Disclosure: I am an Amazon Associate. If you make a purchase from Amazon using the links I have provided, I will receive a portion of the sale, the proceeds of which are used to support this blog. There is no cost to you. Interesting ‘Library Loot’ 🙂 Would love to hear your thoughts on ‘Julie and Julia’ – saw the movie a few days back and liked it and am thinking whether I should read the book. So, it will be interesting to read your thoughts on it. I wanted to read the book before I see the movie. But I’ve heard the movie is better (aside from missing Buffy references). Interesting to know that. I also read somewhere that Julie Powell said that the film doesn’t talk much about her relationship with her cat, as she had described in her book. Hope you enjoy reading the book. Looking forward to reading your review of it. I got Juliet, Naked last week. Hope to get to it soon. I’m about halfway through listening to it. It’s really good. I was going to request Shades of Grey from the library, but then realised that I still had some gift cards so I bought it instead. I am already a Fforde fan girl, so I am pretty sure I won’t regret the purchase. I read the first L J Smith book recently as well. Welcome to Library Loot! I hope you enjoy your books. I’ve read the Thursday Next series. Still need to get to the Nursery Crimes books. Loving Shades of Grey.